Learn more about our medical pouch and tray sealers. CeraTek and Accu-Seal manufacture and supports a complete line of heat sealing and vacuum sealing machinery. 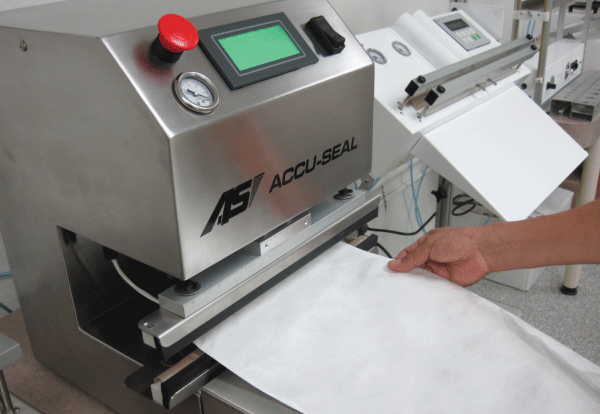 Accu-Seal, a SencorpWhite Company, designs, manufactures and supports a complete line of heat sealing and vacuum sealing machinery. See the latest product innovations here. For more than 40 years, SencorpWhite and CeraTek medical sealers have been recognized as the workhorses of the packaging industry. Newly updated, our medical sealers provide unparalleled performance with sustainability in mind. Our unrivaled, quality engineering is the key to why our medical sealers are the best on the market.